I'm back for Kid Favorite Friday! Last week, I couldn't bring myself to do it, I was sick! Thankfully, I'm feeling better this week and I'm able to get back to it. I stumbled upon an old box of books of mine and decided to focus this week on the classic books I loved. I pulled these out for my kiddo. She's not ready to these herself, but I think they will be fun to read together. I will say, I have read these through once with the kiddo, but that was a year ago, and she doesn't remember them. It will be fun to dive into these stories again. I loved this book as a kid. I also love the new movie version of it. I hope to read this one soon. The kiddo loved the movie! I may be reaching a little bit with the kid's age, but she has seen the 3rd movie, The Dawn Treader and loved it. I think this book is an essential read to every child. I grew up with this movie and it wasn't until I was 12 did I read it. I remember it was an interesting book. The movie stayed pretty true to the book. These are my hope to read soon. They are also ones I think are pivotal for a kid to read at some point in their childhood. And.....one more thing! It's kind of a kid favorite rant! I stumbled upon something horrifying! I kid you not, I was in shock after seeing it. I was floored that the publisher would do this to a much beloved book. 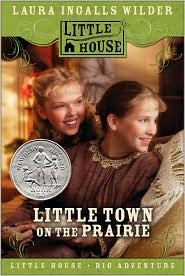 What I'm talking about is the new covers of Little House on the Prairie! The wonderful pictures by Garth Williams have been replaced with models! I found these on GoodReads and thankfully no where else. 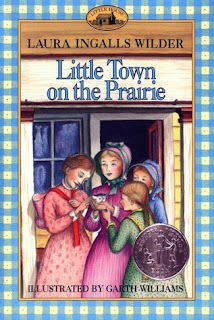 I think Little House is just a mandatory read for any child. I will admit, I'm with you on Narnia. I only read The Lion, the Witch, and the Wardrobe when I was 10/11..but the rest weren't too long ago. The hardbound addition sounds great! I've been so tempted to buy a complete bound addition.